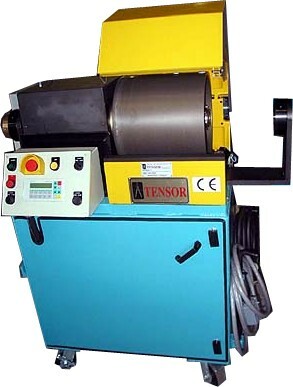 Binder - Single | Tensor Machinery Ltd. Custom solutions available, ask us! 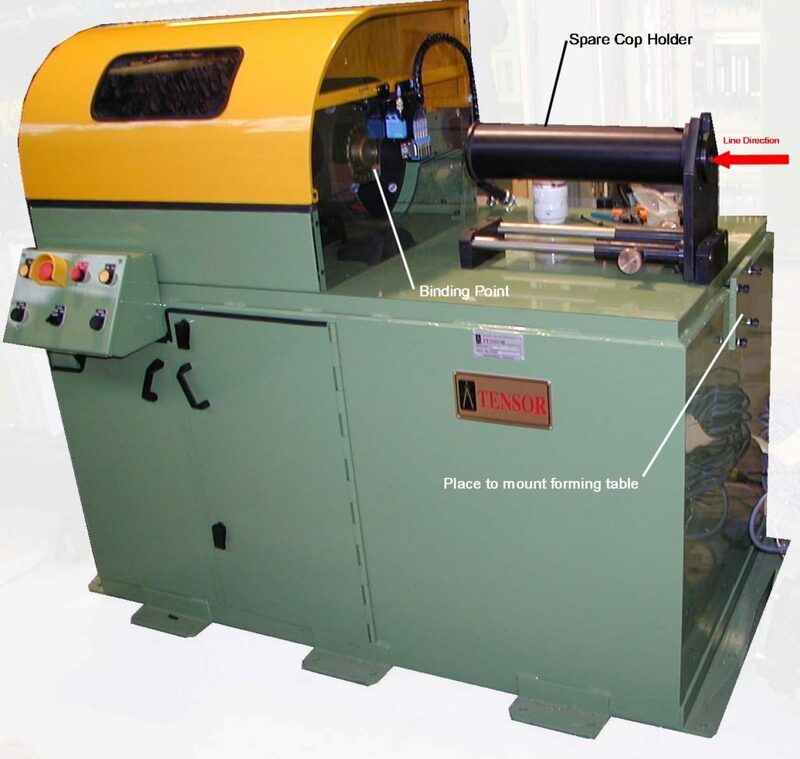 The Tensor single binder is designed to apply one binding yarn around a cable core running through the middle of the binder. On a single binder, there is one rotating binder drum. This drum can face either upstream or downstream depending on the forming tooling and spare cop holder desired. 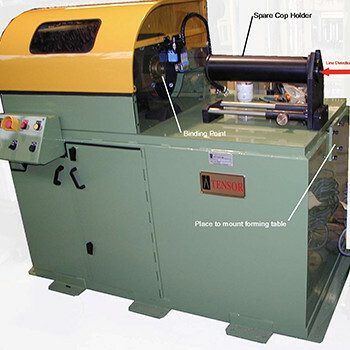 The single binder is primarily used to hold flexible tapes around a cable core or—in some cases—used to hold wires or tubes together. After sz oscillating, a dual binder is recommended. The binder tension can be adjusted between low tension and 2000 grams (typical) and maintains this tension throughout the entire binder package length. Special sensors and programming take into account the parameters needed to maintain constant tension during the run. The binder is mounted on a rigid platform and can be customized for many applications. A extended platform can be added to mount tape forming tooling and a spare cop holder. Standard features include a low package detector, broken yarn detector, and pneumatic cutter to cut the binder during E-stop. The binder unit can be made to stand alone with a PLC or it can be integrated into a complete Tensor line. Copyright © Tensor Machinery Ltd. Trademark pending. All Rights Reserved.